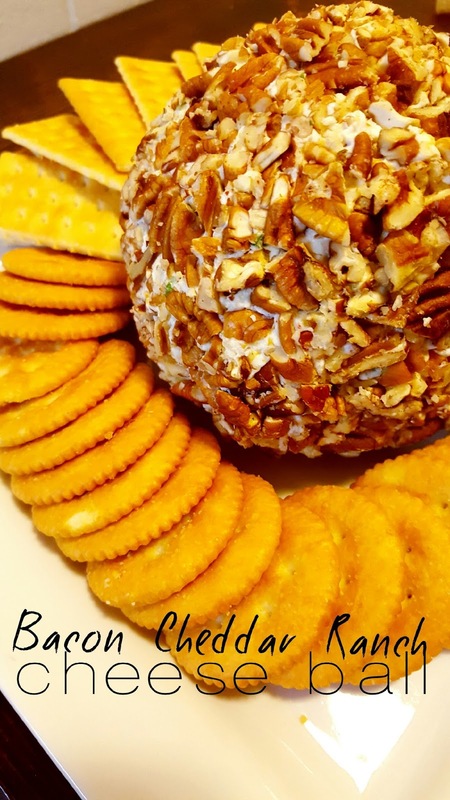 Tis the season for parties and cheese balls! All these Christmas parties and you need to bring something but don’t have much time, because let’s face it, the holidays are busier than any other time of the year! This recipe I made in 20 minutes. I was really impressed with myself! It was really good and all gone by the end of the party! You should definitely give it a try! 1. Cook your bacon, chop it and set it aside to cool. 2. In a Kitchen aid mixer, mix the cream cheese, cheddar cheese, bacon, ranch, and green onions. When the ingredients are blended, scrap the side with a spatula. 3. 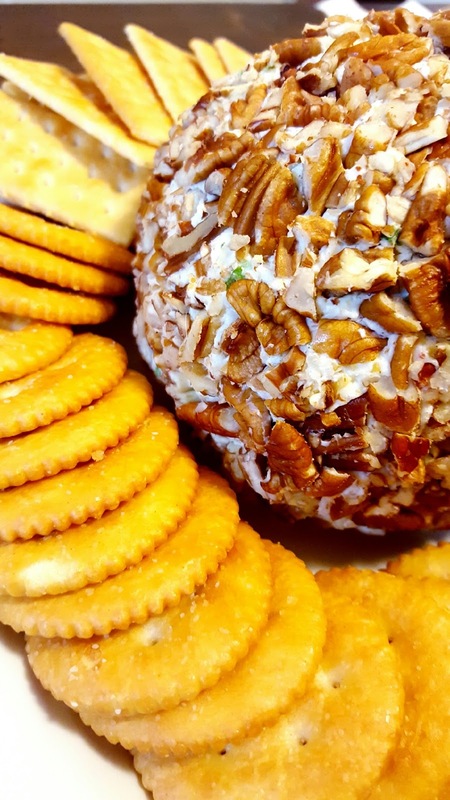 Form into a ball and then roll in the pecans until it is completely covered. Place in a bowl and cover then refrigerate until you are ready to eat it! 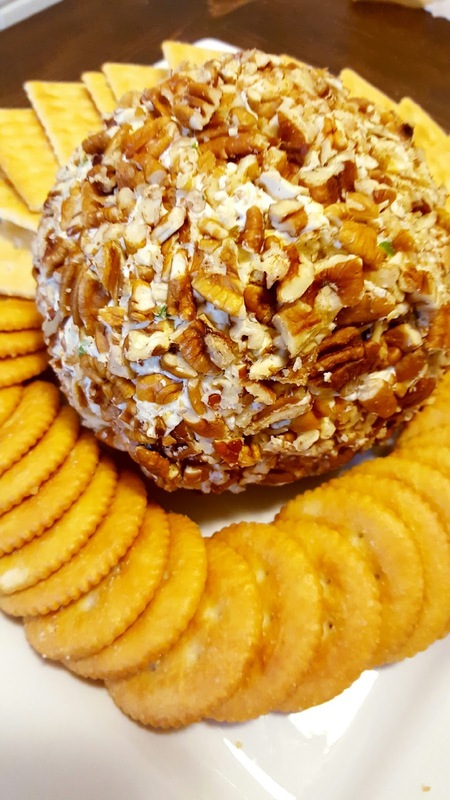 What a wonderful cheeseball, perfect for the holidays as well as all year round! Sharing. Thank you for being a part of the Hearth and Soul Hop.